Dr. Siller has delivered highly personalized care to cancer patients of all ages for more than 15 years. Texas Monthly recognized Dr. Siller as a “Texas Super Doctor” in 2007 and 2008. He is specially trained in robotic surgery using the da Vinci Surgical System®, and offers his patients the latest in minimally invasive diagnostic and treatment innovations. 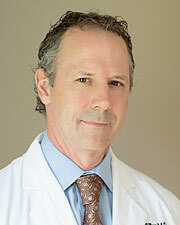 Dr. Siller is married with four children, and when away from his practice, he enjoys hobbies and tennis. Our Gynecologic Oncology Clinic is in Professional Building 3 and Parking is in Parking Garage 3.